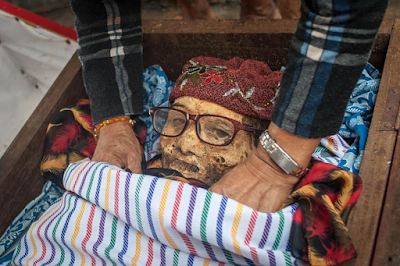 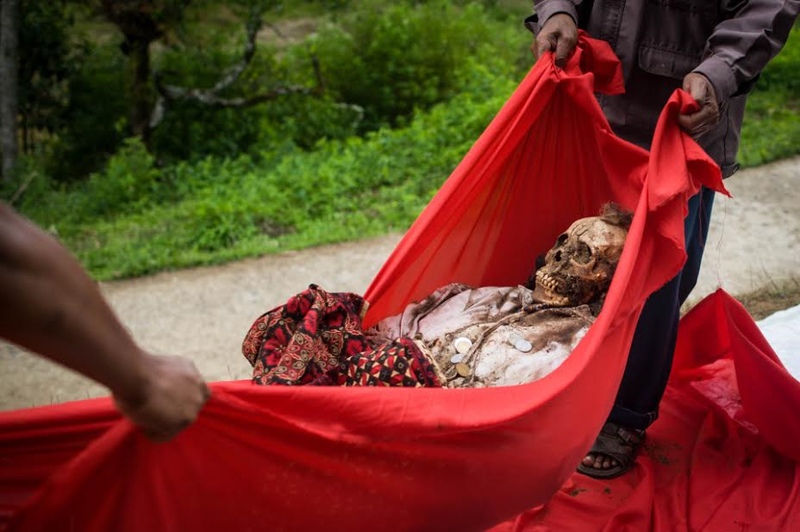 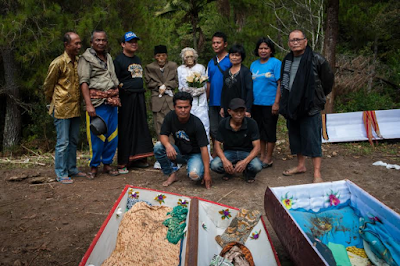 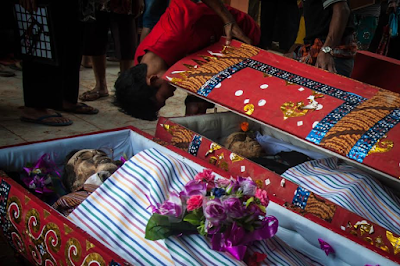 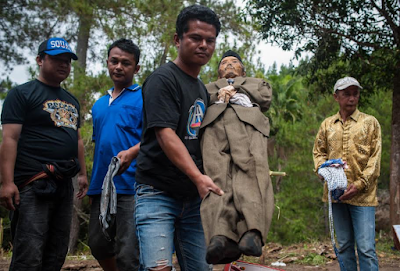 A village known as Toraja in South Sulawesi, Indonesia practices what many will term 'the most bizarre' ritual ever as villagers every three years dig up the corpses of loved ones and give them make overs in an event called the 'Ceremony of Cleaning Corpses'. 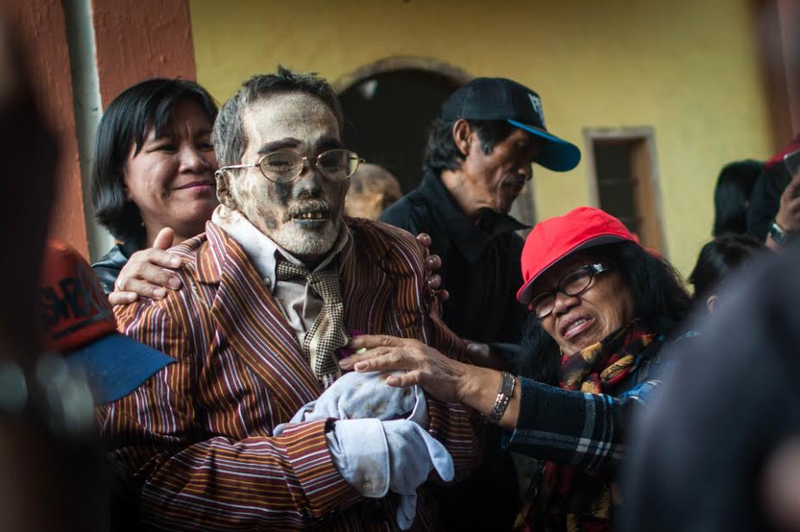 As part of the zombie ceremony, even the skeletons of children are exhumed, damaged coffins are fixed or replaced before the mummies are walked around the area by following a path of straight lines during the ritual. 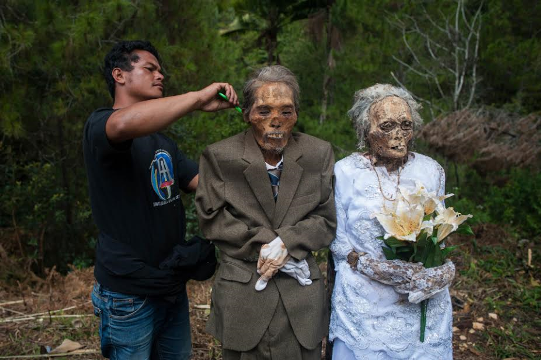 Herman Tandi, 32 dug up the skeletons of his grand parents Jesaya Tandibua and Yakolina Namanda, brushed their hair and wore them wedding suits. 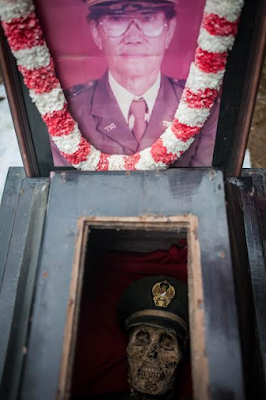 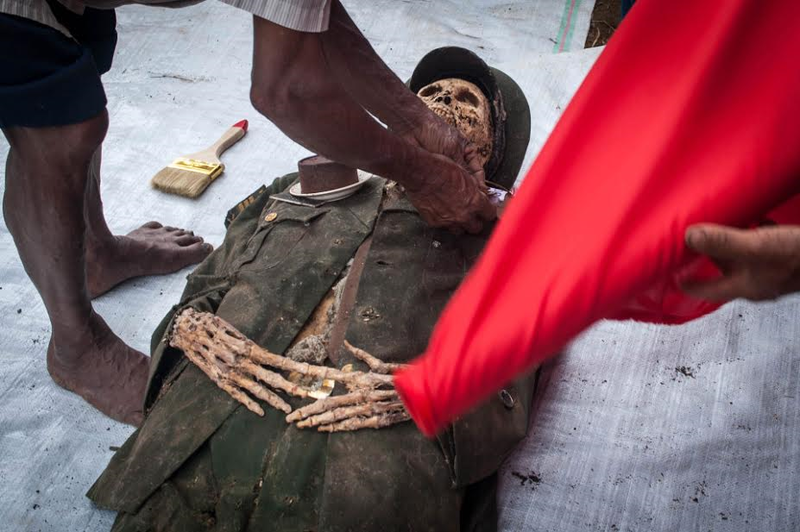 In another part of the village, another family dug up the skeleton of their relative, an army veteran that's been buried for ten years, and then dressed him in army uniform for the ceremony also known as Ma’nene ritual before taking 'family' pictures with him. Another man's skeleton, Paul Sampe Lumba, who has been dead for seven years, was given glasses, a tie and a striped blazer so he could look good in the family photo while Ne’Tampo, dead for 30 years receives his own make over . The villagers have an ancient belief that a person’s spirit must return to their place of origin so the more they go to the morgue, the better. 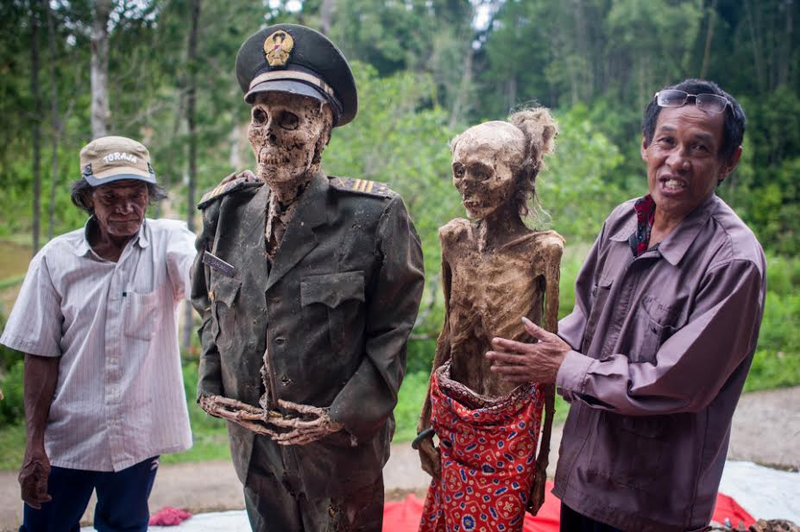 The kind of stories that come out from Asia tho!